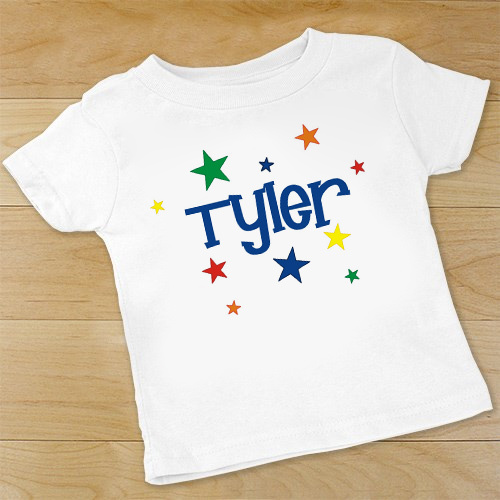 Keep your bright little star looking great all day long in this extremely comfortable Personalized Baby Star bodysuit. Everything your little star wears over this outfit will look even better. Our Personalized Infant bodysuit is available on our premium 5oz, 100% white cotton Personalized Infant bodysuit with crew neck, double-needle hemmed sleeves and binding at the legs with three snap bottom. Machine washable in infant sizes NB-18 mos. Includes FREE Personalization! 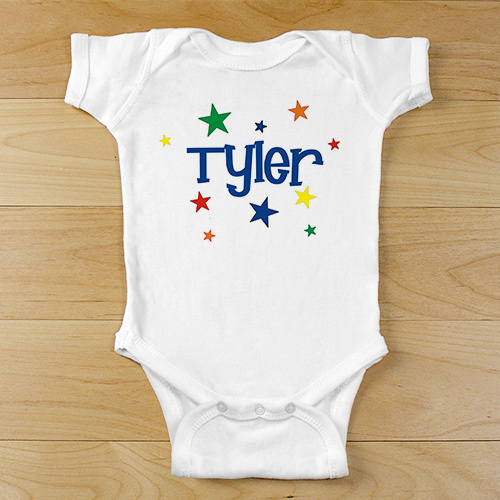 Personalize your Baby Star bodysuit with any name. This is my second creeper for my grandson--he outgrew the first one I bought him so I wanted another to replace it, since it looks so cute on him, and my daughter gets so many complements on it!!! !Reasonably priced as well! GiftsForYouNow.com also has a large selection of Personalized Baby Creepers for every occasion. You will be pleased with the soft quality of our personalized Creepers along with our many personalized designs; suitable for your little bundle of joy at a very affordable price.